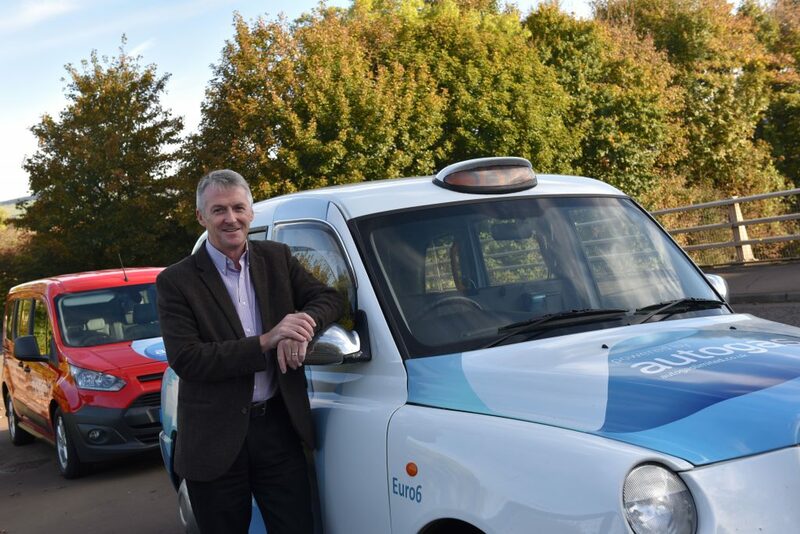 Huw Irranca-Davies AM celebrated the National CleanAir Day on 15 June by taking a ride in a new LPG-powered taxi. Huw Irranca-Davies AM celebrated the National CleanAir Day on 15 June by taking a ride in a new LPG-powered taxi (owned by Autogas Ltd.), which aims to drive an improvement in Wales’ air quality levels by cleaning up the nation’s diesel taxi cabs. It is one of several technological solutions which could help decarbonise the emissions from vehicles, especially in our cities and built-up areas. “Autogas is a quick and cost effective option for taking older diesel taxis off the road, and local authorities and Welsh Government should consider its potential in helping deal with vehicle emissions. We also need the UK government to give policy support LPG vehicles, alongside other technologies such as electric vehicles. Taxi drivers should also seriously consider the option of converting an existing diesel powered taxi to LPG costs, as at a conversion cost of around £10,000 drivers could recoup the cost in less than two years as the price of LPG is significantly lower that gasoline or diesel,” said Huw Irranca-Davies. The UK’s first ever National Clean Air Day has a goal to improve the understanding of air pollution. Taxi drivers occupy a unique place in the air pollution crisis as they are exposed to significant levels of bad air as well being a primary source of harmful emissions. Poor air quality is a serious concern for many towns and cities across Wales and across the UK, with an estimated 29,000 premature UK deaths occurring each year because of the problem which has been widely attributed to vehicle emissions. For more information, please visit this link.